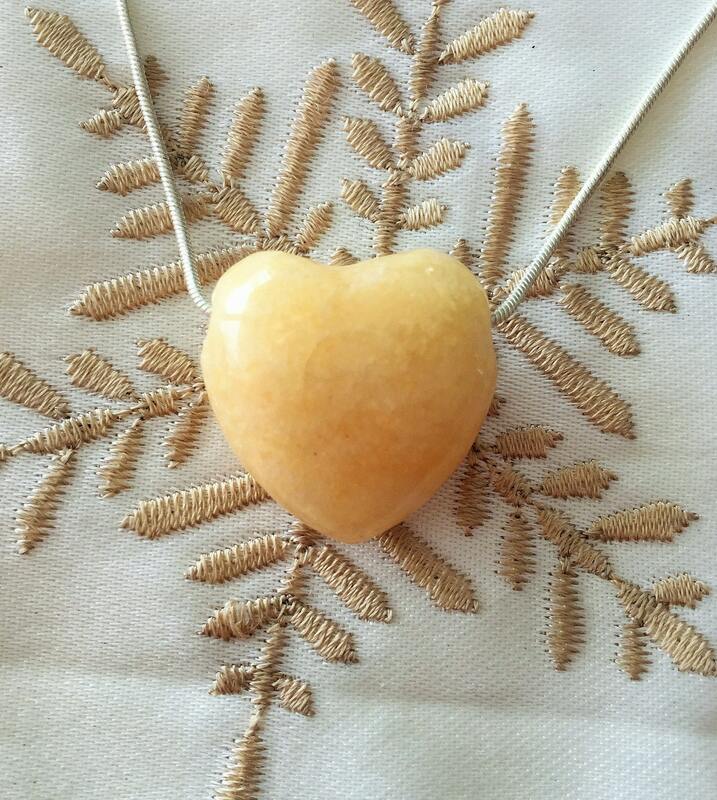 Receive this premium quality Yellow Aventurine Heart Crystal Pendant with a necklace. Yellow Aventurine is great for opening and balancing the Solar Plexus Chakra. 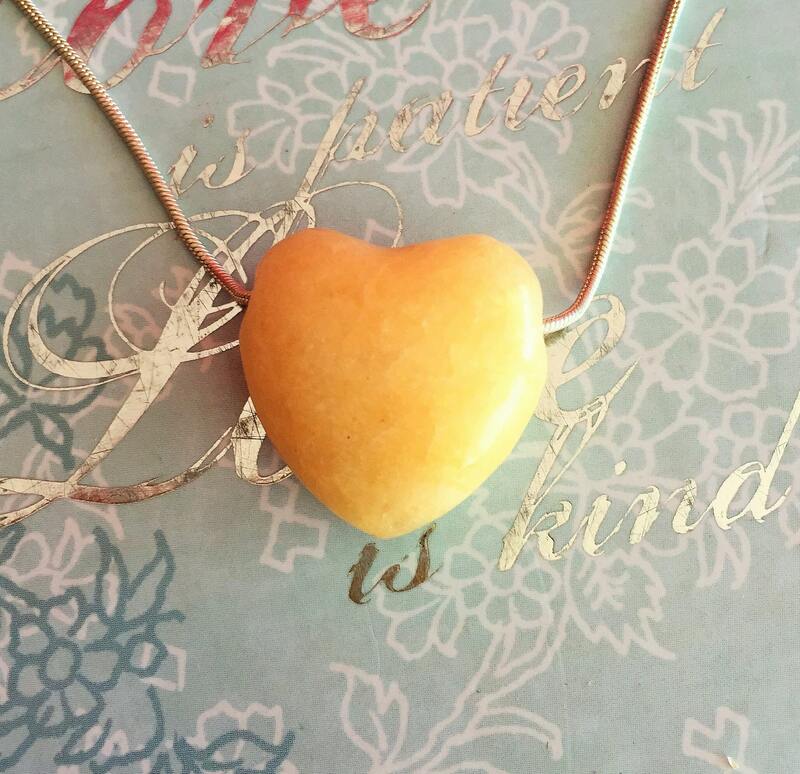 Those who are oversensitive or indecisive, issues relating to an unbalanced Sacral Chakra, can also benefit from Yellow Aventurine's reassuring and balancing energies. The golden light of Yellow Aventurine fills one with compassion and understanding, alleviating grief and centering the emotions.